There is news that Newcastle and West Ham are both interested in England International defender Micah Richards of Manchester City. Newcastle have been linked with this player before, but the new news is that his transfer fee could be as little as £4M in the summer, but the problem for Newcastle could be Richards’ huge wages, which are reported to be around £72K/week. 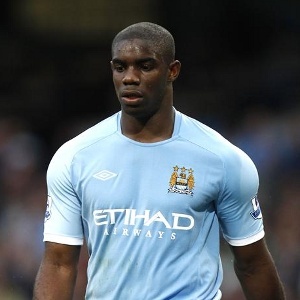 Richards joined Manchester City from Oldham back in 2001, and came though City’s once famous Youth Academy, and he made his debut for England when he was just 18 years old, after playing only 28 games for City and three times for the England U21 side. He made his England debut in November of 2006 against the Netherlands, after Manchester United right back Gary Neville withdrew from the squad through injury. Richards has no future at City, especially since Manuel Pellegrini arrived last summer, and in the last two seasons he has made only 17 senior appearance for the club. Richards has only one year left on his contract, which is one reason his transfer fee would be low at around £4M, and he has no intention of staying at the club he has been part of for 13 years. Micah has played 241 times for Manchester City with 9 goals and 11 assists, and he fits the profile of players Newcastle want to sign in the summer – he’s still just 25 years old and already an experienced Premier League player. How things have changed in 8 years! This seems like a hell of a long time ago now. So odd remembering that we used to have transfer funds! Interesting to see that San Lorenzo, prominent club in that most cosmopolitan of cities Buenos Aires, are challenging for a place in the semis of the Copa Libetadores. To add two more reasons to the more glaring ones that might induce Collo to want out. The emotions they experience from a goal like that, when was the last we experienced them? 60 70 years?? More pace and creativity as well as pace at the back for a change any comments? Also the way things are going this could be our team for next year as well? Also r we really looking at LG1 players ive been hearing we have made enquires for Britt Assombalonga and Callum Wilson? I think we have been linked to Callum before both 21-22 and scored more than 20+ anyone heard anything about these players? I am certain we will lose Debuchy and it wouldn’t surprise me if Krul goes too given the rumours. Bring Simpson back if you can.Forget Richards Michards. I agree we need to freshen things up and make some changes, but I’d prefer giving Aarons, Sammi and Arma a shot rather than playing HBA again. Not because I don’t think HBA should be playing, but he will just be withdrawn immediately if things go bad, and that is no good for anyone. I also think he is definitely off this summer, and it would be nice to put Aarons in when there is little pressure. Say Aarons, and Sissoko in the wide berths against Cardiff, and Sammi and Sissoko against Swansea. I also think that Goof needs pulling out of the side at the minute. He seems to be treading water and has been a shadow of his early season self since January. Let Arma have that centre forward slot for the home games, bring Remy back for the tougher away games. I’d only play the younger lads in the home games, as I don’t want them demoralised by humpings at Emirates or Anfield.